After the shocking death of a disturbed patient, psychiatrist Dr. Allan Barnes (Paul Stevens) comes into possession of the ancient tribal mask that supposedly drove the young man to his doom. When Barnes puts on the mask, he is assailed with nightmarish visions of monsters, occultists, and ritual torture. 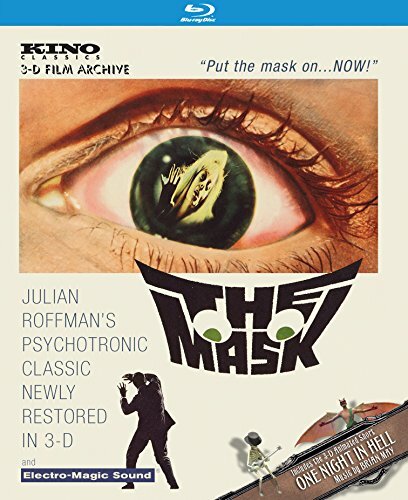 Believing that the mask has opened a portal to the deepest recesses of his mind, the doctor continues to explore this terrifying new psychic world even as the mask reveals a latent violence in Barnes' nature that threatens those closest to him. ONE NIGHT IN HELL (3-D Animated Short): From internationally award-winning animation studio and production company Unanico Group, and visionary rock musician Brian May, a 3D phenomenon of 1860s Paris is unleashed on the 21st century. ONE NIGHT IN HELL is a devilish and spectacular animation short that tells the story of one skeleton s journey into a stereoscopic Hell. The film features exclusive new music from Brian May & the Czech National Symphony Orchestra and has a Dolby Atmos track.